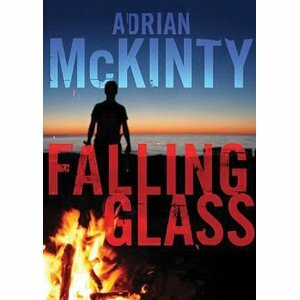 There's a very well thought out review of Falling Glass over at The Crime Of It All, here. It's the longest review of the book I've seen and it really gets beneath the surface of what I was attempting to do with the novel. It's a nice piece of writing too from Cormac O'Siochain. It's interesting to me that the critical consensus on Falling Glass has been so positive, from newspaper critics, blog critics and other professional reviewers; it's actually turned out to be my best reviewed book since Dead I Well May Be. It's also got some great reviews on Amazon, Amazon.co.uk and it got a Best Of The Year nod and some very sweet comments on Audible.com. And yet? Well, the big yet is that I can't find a US publisher for the novel. No one's interested. The major presses have turned me down and the small presses too. Is the story too Irish? Too contemporary? I don't know. John Banville was smart to set his crime novels in 1950's Dublin. I guess that's the Ireland Americans are comfortable reading about: the Ireland of horses and carts, smoky pubs, priests, Angela's Ashes and The Quiet Man. . . Them's the breaks I suppose, but for those of you awaiting the US release of Falling Glass, please don't hold your breath. The Crime Of It All is also running an interview I did with Len Wanner last year. There you'll find my thoughts on Ken Bruen, Dostoyevsky and the title of the one book I think everyone should read. In a remarkable proof of my lack of prescience I also lambast the Irish Times for always reviewing my books badly, I talk about Ireland's economic "boom" (Ha!) and I misspell the word "recuse".